Two albums in and Dave Adams and Milo Black, better known together as Osiris the Rebirth have really established their own sound. Sure, they draw on numerous influences, including Hawkwind and 70's progressive rock amongst others, but they synthesize it all into their own vision. And what a spectacular vision it is! They maintain their vision clearly, even though they utilize a small collective of vocalists and other musicians, amongst them former Hawkwind singer Bridget Wishart and electric Viper violinist extraordinaire Cindy Lee Rule, who bring their own influences into the mix. Many of the songs have a spacerock feel to them, with swooshing, bubbling synths and crunchy guitars, but with the use of progressive elements like unusual time signatures and complex arrangements, the 'spaceprog' tag they've been given is quite apropos. Spacey sounds and themes infuse the album, all the way from the extended, swirling ambient opening of the multiphasic Planetscape (with trippy, otherworldly lyrics and EWI from Bridget Wishart) to the deep space journey of Transdimension Flight (the early acoustic break reminds me a bit of Hawkwind`s Space Is Deep). But the band veers away from the spaciness to explore other dimensions of sound as well: Brave New Earth is an ode to the great prog music of 1973; it sounds something like Camel meets Renaissance, with singer Becci Marks' beautiful voice a dead ringer for Annie Haslam's. The nearly 25-minute long prog epic, The Mirror of Her Dreams (a musical rendering of Stephen R. Donaldson's 1986 novel) explores so many facets of progressive music it's ridiculous (in a totally awesome way!). They've really outdone themselves with this magnum opus. It's one of those pieces that you suddenly realise you`ve got this big grin on your face as you're listening to it because it's so cool. Everything gels for Osiris the Rebirth on this album. It may be called Lost, but Dave and Milo are definitely not that, they are right on the mark. If I hadn`t received their first album, Remnants of Life just after the New Year 2010, it would have made my top 10 list for the previous year. This time around, Lost will definitely be high up there on my list for 2011. Highly recommended! Aural Innovations (AI): The current band, as the name suggests, is a 'rebirth' of an earlier band. Can you tell me about that early band? Dave Adams (DA): I wrote a bunch of lyrics, with a "sort of" tune in my head, between 1986 and 1988. Many of these were recorded, a song a day, using a Tascam Portastudio and lots of 70s analog synths and drum machines. Some found their way on to a couple of cassette releases under the name "Osiris", and the band also played one live date in 1989. Nothing happened after then, til I had the idea to dig out some of these old tunes, rewrite, write new, and record again. Osiris was already taken, so why not Osiris the Rebirth? It sounded just right. So that's what happened. I still have some lyrics from that period lying around, one such example bacame Transdimension Flight on the latest album Lost. There are more!! AI: How did the two of you meet and first start musically collaborating? MB: I walked into the music shop that Dave had started managing, one day in 2002. We got talking, discovered a mutual love of Hawkwind (by way of talking about Lemmy), and Dave mentioned that he'd wanted for a while to get together a Hawkwind tribute band - I volunteered to play guitar, and Assassins of Silence was the result. AI: Where did the initial idea come from to revive Osiris? DA: In the pub one afternoon, actually with a couple of the guys from Assassins of Silence, I thought, I think I will speak to Milo about my old songs and see what we can do, as I have had enough of playing another band's songs. So here we are, album 2 done, thinking about number 3 and trying to put a performing band together. AI: Why Osiris? Why not just create a new name for the band? Besides Dave Adams, what is the connection you see to the original band? DA: Well, the initial idea was to resurrect Osiris (appropriate), and to rework some of the songs that I had from that period. We did start writing new songs, but both albums re-use old Osiris songs - Remnants had Starlight Scorpio and Dragonslayer, Lost has Look To The Future, and two songs called Should Be Feeling and Visions and Dreams were imported wholesale into The Mirror Of Her Dreams. Album 3 is likely to follow the same pattern - a mix of old and new. 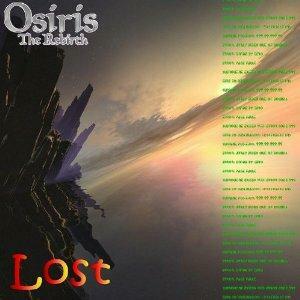 True, we could have called the band something else, but my original Osiris was the starting point. MB: - and besides, I'm lousy at band names. I would have pushed to call us "God's Navel", "A Suffusion of Yellow", "Sacred Chao", "The Daily Lemur", "General Indefinite Wobble" or something equally hopeless. AI: Being that Milo wasn't involved in the original band, what are the differences in sound and approach between then and now? MB: Again, more for Dave to comment as I wasn't around then. AI: You both come from Assassins of Silence, a Hawkwind tribute band, so obviously you brought along some Hawkwind influence. Were there any particular Hawkwind albums or era that inspired you for this project, and if so, what do you like about those particular albums or era? MB: Hawkwind have been through a lot of phases - but I particularly like the slightly more prog-leaning albums such as Warrior, Quark and 25 Years. Space Ritual is also a classic. 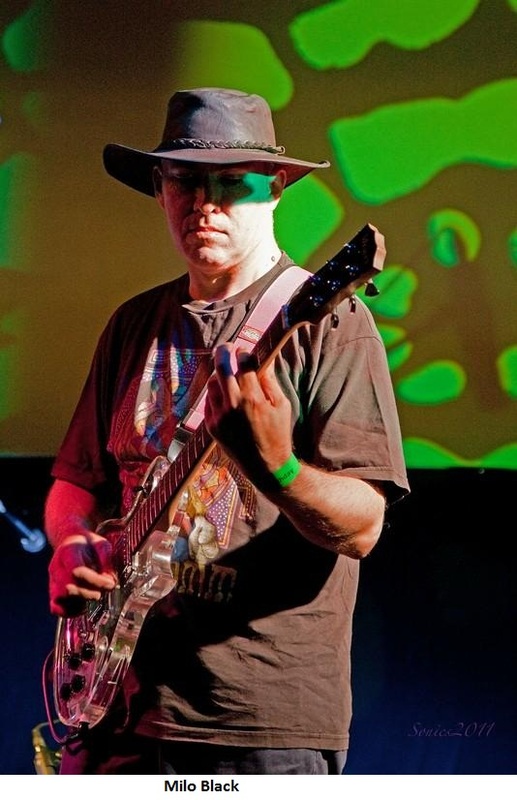 Hawkwind are (of course) an influence - but we have so many influences in this band, Hawkwind being just one of them. AI: What made you opt for a loose collective instead of actually getting a new band together? DA: We did originally think about having a "proper" band, with real, live, sweaty and argumentative human beings, and did investigate a couple of people - but we'd already started writing and recording at that point (the two processes are indistinguishable for us), and things were turning out fairly well with just the two of us. I have phone numbers and email addresses for quite a few people, and immediately started thinking of people who we could ask to guest (with Bridget Wishart and Cyndee Lee Rule high on the list) - so we very quickly decided to work in that way rather than in a more-traditional band format. AI: You had Nik Turner appear on the first album, and Bridget Wishart on both albums... any hopes or plans to work with other former members of Hawkwind? MB: We've already spoken to Bridget about doing something on "album 3", so that will almost certainly happen. Other than that, it's possible that we might ask Huw Lloyd-Langton to guest on something - we did think about asking him to do something on Lost, but we had nothing that we thought would quite work. 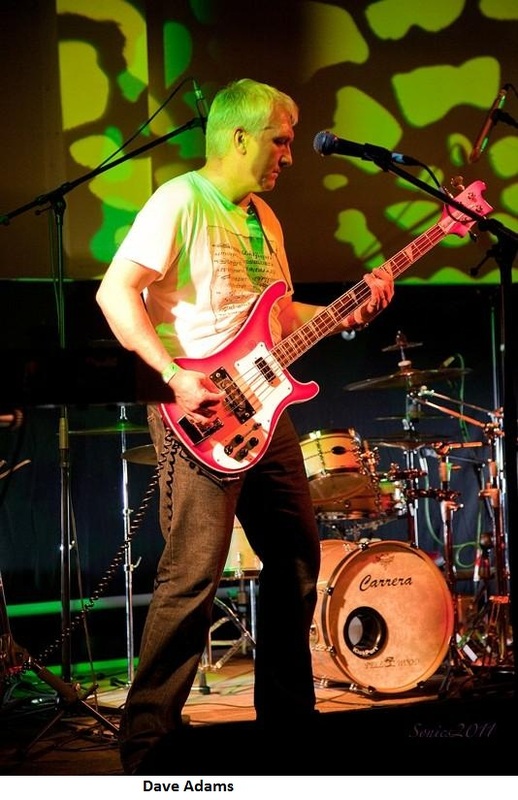 We also had Jude Merryweather from Underground Zero guesting on Lost - Jude also appeared with us at a recent gig, and is keen to do more with us. DA: What generally happens is that we'll start getting a track together, and at some point a name will pop into one of our heads as it being "their kind of thing" - at which point we ask them. It's not really something we plan on - it depends on what the music is doing. Sometimes it doesn't quite work out, but it's great when it does. AI: Some reviewers suggested that Remnants of Life was a sort of concept album, perhaps about someone on Flight 2317 and the memories and dreams they had. You guys say there's not concept, but the Flight 2317 saga continues on Lost. What do you think of listeners and reviewers trying to work the lyrics of your songs into the perceived concept (I know I've tried)? MB: The lyrics on both the albums aren't (intentionally) linked - but don't let that stop you from making your own connections (after all, there may be stuff going on in what we affectionately call "our heads" that we're not aware of... absorbing cosmic vibrations, receiving delta-wave messages from alien civilisations, or just good old mental instability). As for any conscious connection, you can think of the Flight 2317 saga as being a framework to hold the songs, but other than that, there is no (intentional) concept linking the songs themselves. We liked the Flight 2317 story, so we continued with it - but it runs in parallel with the music. You can take the songs in isolation and they (hopefully) still work as self-contained stories. The only (intentional) story in the songs is "put reality on hold, enter our world and take a trip with us for an hour". We may change that for "album 3", but we haven't decided yet - watch this space. DA: That about covers it. AI: Although the lyrics were written 25 years ago, Transdimension Flight certainly sounds like an answer to the mystery of what happened to Flight 2317, especially as it is following Not Found on the album. Any merit to that theory? DA: Well it's unintentional, but I do see what you mean :) Transdimension Flight in the final form (it grew some extra lyrics from my original draft) is a different and unrelated story, about the maiden flight of a prototype starship with an untested drive system and a single pilot - we've tried to illustrate that in the video for the song, which you can find on YouTube. Flight 2317 is a regular, scheduled trip, full of fare-paying passengers, which is just starting to go horribly wrong due to the "relaxed" attitude of The Watcher towards matters such as time, space and guidance systems. Two different stories. AI: Bridget plays EWI on several tracks on the new album. What exactly is an EWI and what kind of contributions did she make with it? DA: On Transdimension Flight, Milo asked Bridget to play some EWI, and she came back with the 'violin' parts at the end of the middle section and on the outro. Whenever Bridget guests on a track, we get something great that we hadn't expected and a huge "value added" - and she's a lovely lady too. AI: You showed your ambitious prog tendencies with The End of Something off the first album, but they really blossomed with the dazzling epic The Mirror of Her Dreams on the new album. What exactly is it like putting together such a lengthy and complex piece? DA: I did quite a bit of writing on this, including most of the lyrics, but Milo did most of the building and structuring of the thing. We wanted to do a full-on "whole side of an LP" prog epic (if anyone other than us still remembers LPs), and this is how it came out. MB: It's an interesting challenge :) MOHD is about a third of the running time of the album, so it did take a while. The writing was relatively easy as we had enough musical ideas floating about to get us started, and more things suggested themselves once we started arranging and structuring. There is (inevitably) a division of labour in the partnership, and arrangements and structure are more my area than Dave's - it's mainly a mental exercise, trying things out in my head until I've got a feel for how it could work in a satisfying way. I do most of this while driving :) For a *really* long one like this, it's just an extension of what we do on a smaller scale on the shorter tracks ("shorter" being a relative term, of course) - there's just more room to play our games in. Several of the other tracks on Lost have structures involving reprises and re-use of themes (notably Planetscape and Brave New Earth). This is more of the same, but there's the space to give the themes a little more exercise. Mirror is a long song, but - I hope - is one that can stand up to repeated listenings. CLICK HERE to go to the Aural Innovations Space Rock Radio page where we have an ALL Osiris the Rebirth special. Scroll down to show #266 to listen.